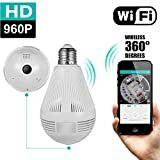 [360 Degree Full View Angle] This WiFi camera provides you panoramic view without blind area. Finger-controlled Electronic PTZ allows you to zoom in and out and change your viewing angle. You can switch between 7 viewing modes at your choice. The built-in fisheye lens could monitor a large area when the camera is mounted on the ceiling. All these make 1 this camera even better than 4 ordinary cameras. 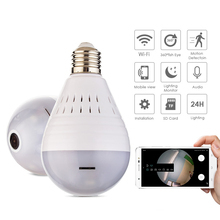 [Auxiliary Night Light for Night Monitoring] Not just a light bulb shape, it has 3 LEDs and can be used as a night light to provide light for nighttime monitoring. We suggest you choose "Auto Mode" in the specified App so that the LEDs could light on/off automatically ♥Not suitable for Lighting purpose♥. [Attention before Your Purchase] 1. This camera requires WiFi to work. Please refer to the requirements before connecting it to the network. 2. It has no battery. Please keep the camera powered on so that it could work. 3. Android Users please DO NOT download the APP from Google Play, due to the reasons stated in the user manual in the box. [Motion Detection and Playback] For these 2 functions, it requires a Micro SD card. Please note that the card must be installed before the camera is powered on. Besides, please refer to the settings in the 6th picture to enable Motion detection and watch the stored video on your phone. In addition, it supports 2-way talking. Thus, you can talk and listen to your family through the APP whenever you are. [Easy to Install & Use] The Camera Bulb adopts E27 screw, which makes it easy to install on the existing screw-type socket of your desk lamp. We also provide a screw base in the package so that you can mount the camera on the ceiling. 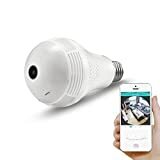 Tips: If you want to install this camera to your own screw-type socket, please make sure the switch only controls 1 light fixture because the camera has no battery. It needs to be powered on to work..
Requirement before set up this camera. For the Network: 1. You can provide 2.4Ghz WiFi for this camera. 2. If your WiFi is 2.4Ghz & 5Ghz dual band, please make the name of 5Ghz band different from that of 2.4Ghz band. 3. Both the WiFi name & password of the 2.4Ghz WiFi should not contain special character. 4. The 2.4Ghz WiFi name should not be hidden. For the Camera: The camera needs to be installed within WiFi distance and powered on to work. Please scan the QR code on the package to download the App. * Do NOT download it from Google Play due to the reasons mentioned in the User Manual. Cannot sign up? * Please follow the tips in the User Manual to sign up. Steps to connect it to the network: 1. Make your WiFi meet the above network requirements. Connect your phone to the 2.4Ghz WiFi. 2. Install the camera within WiFi distance and make sure the WiFi signal nearby the camera is strong enough. 3. Power on the camera. Wait until it reminds you "wait to be configured". If it still doesn't remind you after 2 minutes, please long press the pin until it reminds you "restore factory setting". Then release the pin and wait until it reminds you "wait to be configured" 4. Follow the steps in the User Manual to connect the camera to the network. What if the WiFi signal nearby the camera is not strong enough? Either the image is delayed/unsmooth or black, or the camera connection is unstable. Please move the camera to a suitable place. If any question, please email us to give us a chance to help you. [email protected] We will respond with a solution within 18 hours. Your rights will be protected. Video Demo:https://youtu.be/cQYyp81BUn0, 2.4G WiFi CONNECTION & WIDE APPLICATION SCENES - Install the APP "iCsee" on your phone (iOS/Android). Connecting the camera with the WIFI (only support 2.4G wireless connection), then you can start monitor. 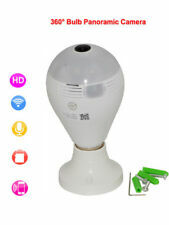 Perfect for baby monitoring, pet monitoring, and home security monitoring. You can know what was happening when you were out of home..
PANORAMIC VIEW ANGLE - 360 degree full view angle, there is no blind area. You can see the entire room during the daytime or at night. The camera provides a full coverage scene. You won't miss anything that happened in your house.. ALERT & MOTION DETECTION ALERT: The alert will be launched to your smart phones if any motion is detected, which make your home or office more safe. 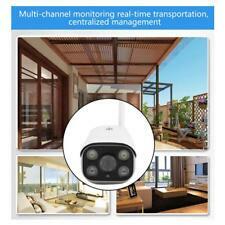 Perfect for Vacation Home Monitoring, Pet Monitoring, Business Monitoring and Senior Monitoring. NIGHT VISION & EASY INSTALLATION: The camera provides excellent night vision, you can monitor even in dark surroundings, The user manual will give you the guidance for every step in our app(iOS/Android) and view the camera in 1 minute. Comes with bracket, can be directly installation on the house ceiling. No need to extra installation❤PLEASE KINDLY RESET THE CAMERA AFTER YOU RECEIVED THE CAMERA TO MAKE SURE IT WORKS WELL!❤. MICRO SD CARD & LIGHT FUNCTION: Live viewing and recording in the Micro SD card(up to 128GB,NOT INCLUDED!) 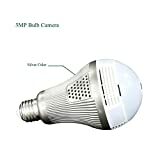 The camera has light with it, the Light can be opened automatically, manually, regularly or closed. PLEASE FEEL FREE TO CONTACT US ANYTIME IF YOU MEET ANY PROBLEMS DURING USE..
Video Demo:https://youtu.be/cQYyp81BUn0 MAIN FEATURES: ➤360° Fish-Eye Lens, Panoramic Viewing, No blind Angle ➤HD 1080P High Resolution for the Slightest Detail! ➤3D View and Support 7 VR Modes to Watch the Video ➤Real Plug & Play, View the Camera Even in 1 Minute ➤Remote Viewing in the App on Your Smart Phone ➤Two Way Audio, talk and listen through the app whenever & wherever ➤The alert will be launched to your phone if any motion is detected ➤Amazing Night Vision, You could Switch between B/W & Color Mode even in the Night! 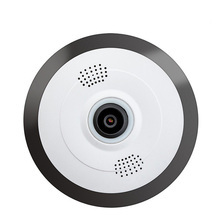 TECH PARAMETERS: Lens (mm): 360 Fisheye Lens，f=1.44mm Viewing Angle (Degree):360° IR Distance(ft): 49 Floodlight Mode: AUTO/ON/OFF/AI/Timing Day and Night: IR-cut double filter Automatic Switching Motion Detection: SupportAlarm Action: Phone Alert, Email Photo, Snapshot, Take a Video & Device Beep, Supported Mobile Systems: Android, iOS Supported Operating Systems: Windows XP 7/8/10 Image Resolution: HD 960P/1080/3MP Optional Reset port: Yes Installation: Wall & Ceiling Frequency range: 2.4GHz～2.4835 GHz Storage port: 1PCS TF(Micro SD ) Port, max 128G (NOT INCLUDED) Special Features: Indoor, Audio GENERAL SPECIFICATIONS: Housing Material: ABS Plastic Power port: E27 Power supply: AC 110-240V Power Consumption(W):3W Operating Temperature: -10℃~+50℃ (-4 °F ~ 122 °F) Operating Humidity: 10%~ 95% RH PACKAGE CONTENTS: 1 x WiFi Bulb Camera 1 x User Manual 1 x E27 Base 1 x Reset Pin 1 x Mounting Screw bag PLEASE NOTE: MICRO CARD NOT INCLUDED! PLEASE NOTE: ONLY 2.4GHZ WIFI SUPPORTED! PLEASE NOTE: PLEASE RESET THE CAMERA IF THE CAMERA DOES NOT CONNECT TO YOUR ROUTER! 2.4G WiFi CONNECTION & WIDE APPLICATION SCENES - Install the APP "iCsee" on your phone (iOS/Android). Connecting the camera with the WIFI (only support 2.4G wireless connection), then you can start monitor. Perfect for baby monitoring, pet monitoring, and home security monitoring. You can know what was happening when you were out of home..
MAIN FEATURES: ➤360° Fish-Eye Lens, Panoramic Viewing, No blind Angle ➤HD 3.0 Megapixel High Resolution for the Slightest Detail! ➤3D View and Support 7 VR Modes to Watch the Video ➤Real Plug & Play, View the Camera Even in 1 Minute ➤Remote Viewing in the App on Your Smart Phone ➤Two Way Audio, talk and listen through the app whenever & wherever ➤The alert will be launched to your phone if any motion is detected ➤Amazing Night Vision, You could Switch between B/W & Color Mode even in the Night! 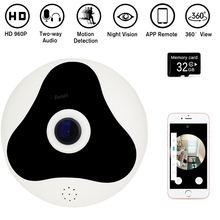 TECH PARAMETERS: Lens (mm): 360 Fisheye Lens，f=1.44mm Viewing Angle (Degree):360° IR Distance(ft): 49 Floodlight Mode: AUTO/ON/OFF/AI/Timing Day and Night: IR-cut double filter Automatic Switching Motion Detection: SupportAlarm Action: Phone Alert, Email Photo, Snapshot, Take a Video & Device Beep, Supported Mobile Systems: Android, iOS Supported Operating Systems: Windows XP 7/8/10 Image Resolution: HD 960P/1080/3MP Optional Reset port: Yes Installation: Wall & Ceiling Frequency range: 2.4GHz～2.4835 GHz Storage port: 1PCS TF(Micro SD ) Port, max 128G (NOT INCLUDED) Special Features: Indoor, Audio GENERAL SPECIFICATIONS: Housing Material: ABS Plastic Power port: E27 Power supply: AC 110-240V Power Consumption(W):3W Operating Temperature: -10℃~+50℃ (-4 °F ~ 122 °F) Operating Humidity: 10%~ 95% RH PACKAGE CONTENTS: 1 x WiFi Bulb Camera 1 x User Manual 1 x E27 Base 1 x Reset Pin 1 x Mounting Screw bag PLEASE NOTE: MICRO CARD NOT INCLUDED! PLEASE NOTE: ONLY 2.4GHZ WIFI SUPPORTED! PLEASE NOTE: PLEASE RESET THE CAMERA IF THE CAMERA DOES NOT CONNECT TO YOUR ROUTER!